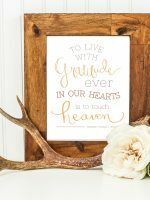 Fall is in full swing, and we are so excited to be planning for family feasts and gatherings that the fall season brings. 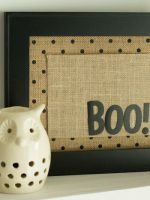 We can’t wait to take our kids apple picking and to the pumpkin patch this year! 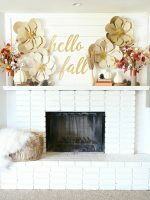 Fall is our favorite time of year for so many reasons but we love how it is the best time to bring family together and host meals and gatherings together. 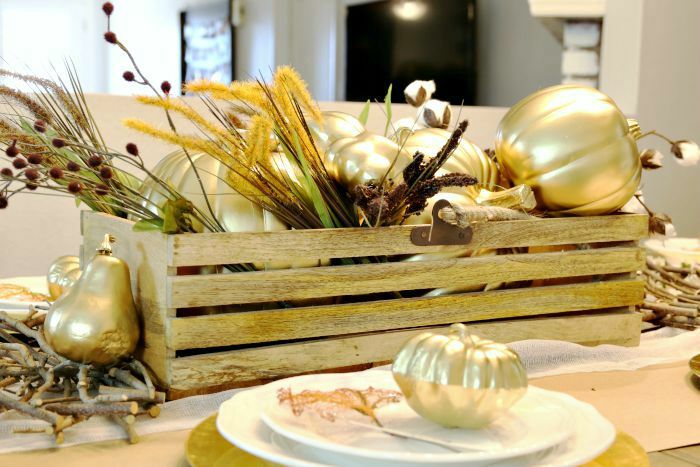 This year we let the pumpkin patch inspire our Fall dinner table. 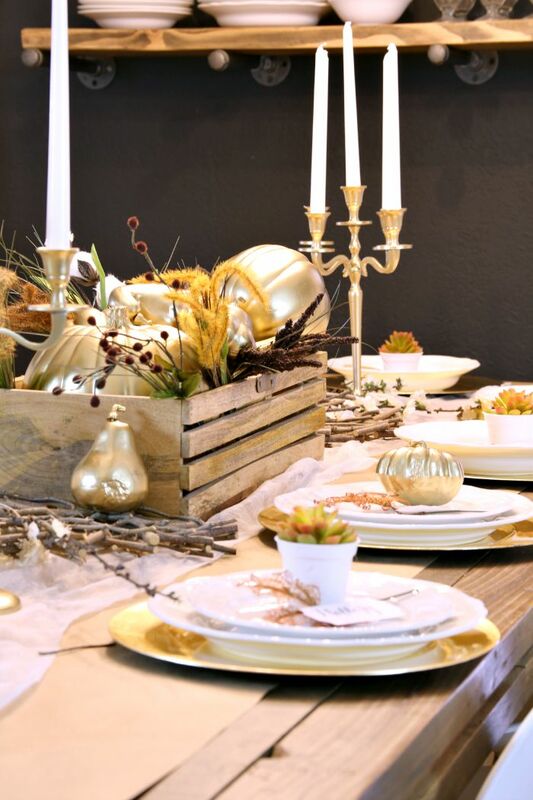 We chose rustic elements and super trendy metallics with warm colors for this year’s gathering. 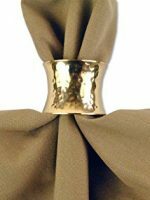 To start off our tablescape, we used a roll of brown wrapping paper as a table runner and added a layer of white cheesecloth for some texture. 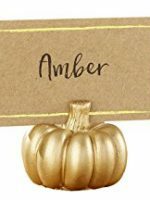 From there we added a rustic box full of faux pumpkins that we spray painted gold. Then we added some twigs, branches and fall foliage to the box for an easy centerpiece. 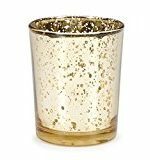 We also LOVE candles and what’s better than a candlelit fall meal? Probably nothing! We got these gorgeous white Threshold candlesticks from Target (here). 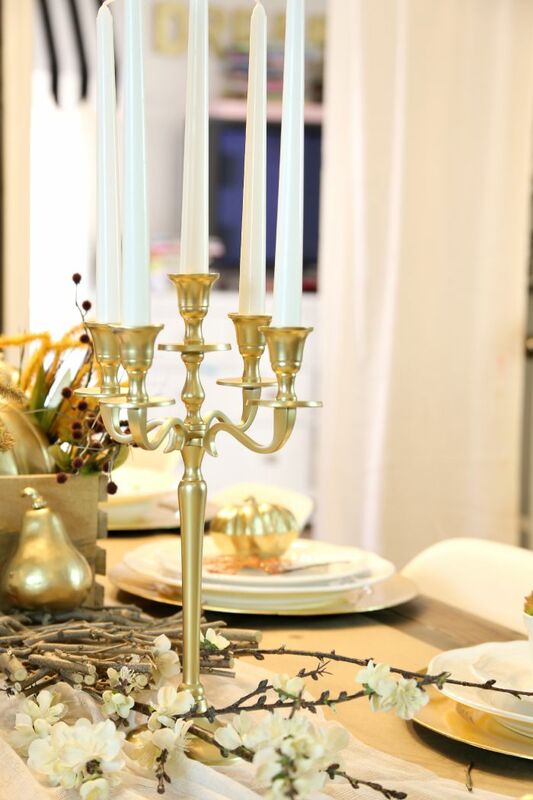 and placed them in gold candelabras to add a touch of glamour and elegance to the table. 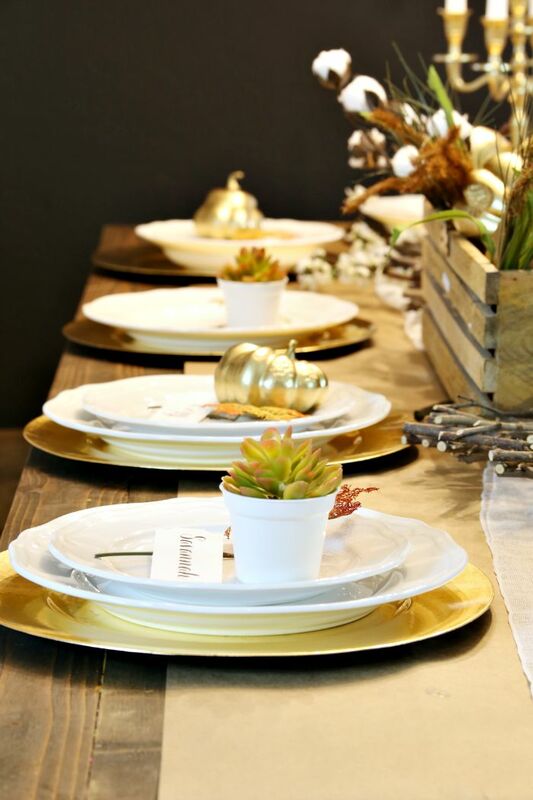 We used gold chargers that we had on hand and layered them with our favorite Threshold Scallop Dinner Plates. We love how rustic yet elegant the whole setup came together. 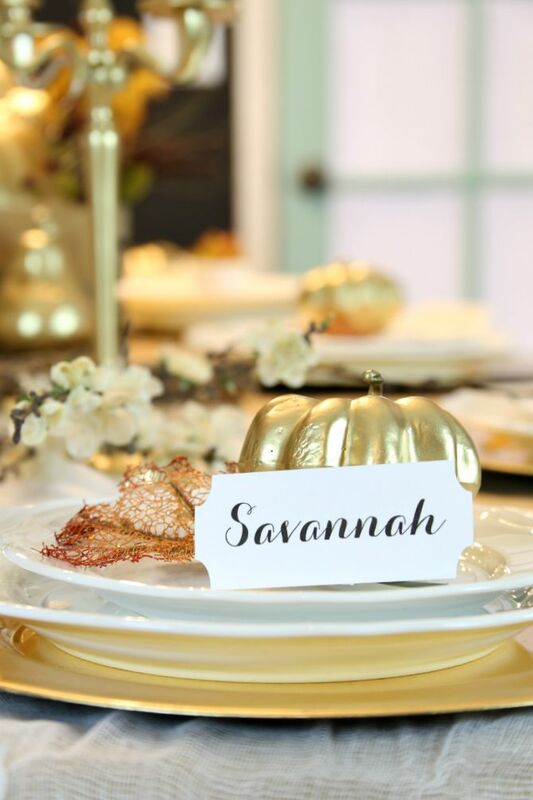 Of course we had to add some place cards to each plate to customize it a bit! Isn’t it so dreamy? If Rustic Glam is a decor style, I think we nailed it on this tablescape. *winks* We love how it turned out! 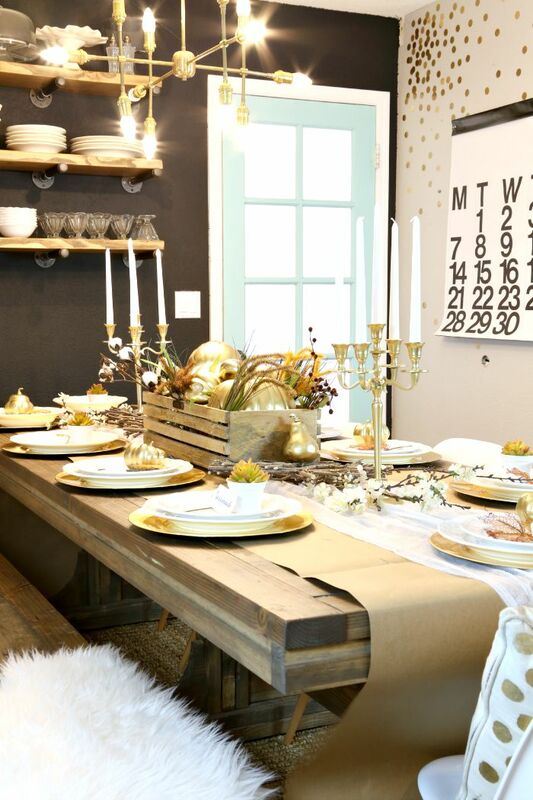 I’m really loving the metallics of your table setting and the brown wrapping paper is amazing. Oh how I miss you Target (I live in Canada). The succulents add a very pretty touch to the tablescape!